Embossing is an artistic technique which creates a pattern on a material such as paper, metal, fabric, leather, or wood. The pattern can be raised or in relief, depending on how it is embossed. 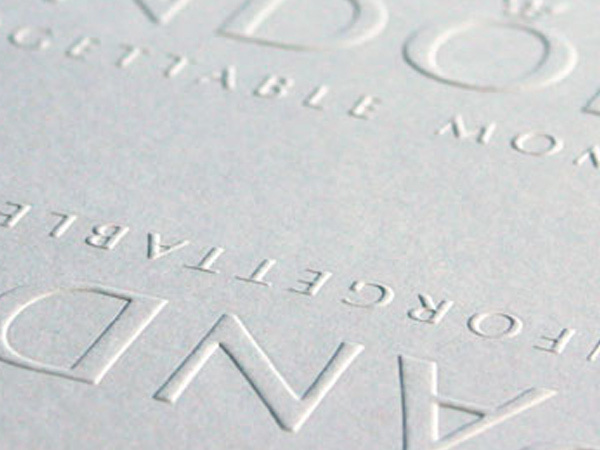 Embossing involves the creation of an impression by placing the dies in contact with the stock under high pressure. Embossing will give your packaging a unique look and texture. At Sunrise we can customize your boxes, binders or pads with custom embossing to increase the perceived quality the end product.